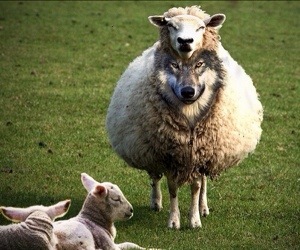 Wolves in sheep clothing are cunning. They are determine to kill and steal from the children of light. These false prophets are of the Jezebel spirit, desiring as lucifer to take the place of God and the true prophets. Jealousy, envy, manipulation, anger, rage, and lies are it’s traits. Be aware of the deception.